This project represents a beautiful example of Tuscanny style architecture. 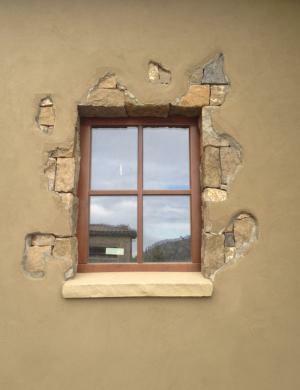 We applied a tradition lime plaster for an Old-World finish, with the latest technologies underneath. Multiple techniques were applied depending on the look. Different techniques and materials were used on the interior areas, such as Venetian plaster and artistic techniques emulating a distressed, aged look. We have tackled both Commercial plaster projects, and private residences at the Ranch at the Canyons, and the styles vary. Some homes are clearly a Nappa Valley style which required some different techniques and materials.